Dr med. Christian Sprenger is Senior Physician of the Vascular Surgery and Interdisciplinary Vascular Centre at Klinikum Mutterhaus der Borromäerinnen in Trier. Before becoming Medical Administrator here in 2009, he also presided as Senior Physician over developing the vascular surgery department of another hospital from 2006 onwards. The Dept. 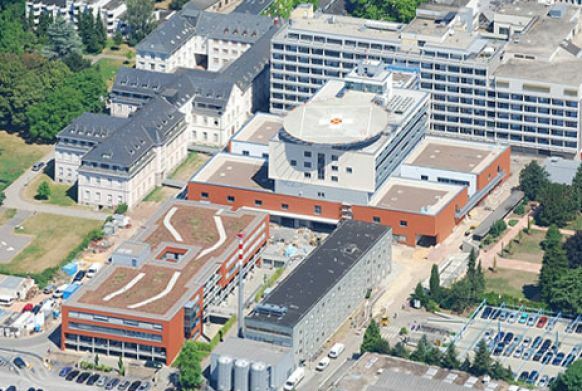 of Vascular Surgery is part of the Interdisciplinary Vascular Centre at Klinikum Mutterhaus. The vascular specialists in Trier follow the guidelines of the German Vascular Surgery Association. These guidelines define every conceivable vascular disease and recommend standardised treatment approaches. This ensures nationwide comparable treatment quality and state-of the-art research. 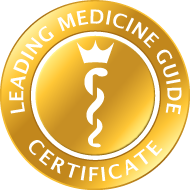 The Vascular Centre in Trier is accredited as a "Recognised Vascular Centre”, a certificate, which the German Vascular Surgery and Vascular Medicine Association only gives to vascular medicine departments offering very high treatment quality. As experts in vascular and endovascular surgery as well as phlebology, Dr Sprenger and his excellent team focus on the diagnosis and therapy of aortic and venous diseases. They also have great expertise in complex interventions on the carotid artery, the aorta or in performing difficult heart bypasses. The range of services also includes implantation of pacesetters and port systems. But the vascular surgeons at Klinikum Mutterhaus in Trier also especially routinely perform lesser treatments, e.g. varicose vein therapy. Key foci of vascular surgery at Klinikum Mutterhaus are Doppler- and colour-coded duplex sonography. These can also be performed on an outpatient basis enabling patients to go straight home after treatment. Overall, the department carries out some 1600 vascular medicine procedures a year. Daily meetings between radiologists, angiologists and vascular surgeons and monthly interdepartmental angiology conferences facilitate constant dialogue on scientific news and complex cases. This excellent mutual networking enables all the patients and their personal ailments to receive full-scale support. Satisfaction with the treatment by Dr Sprenger can also be noted from excellent evaluations on a portal assessing physicians. Apart from his expertise, his patients also appreciate Dr Sprenger’s personal support and empathy.